Eldritch Horror is one of my favourite games to come out recently. It seems to have distilled the best bits of the co-operative doom-track genre into an exciting globe-spanning adventure. 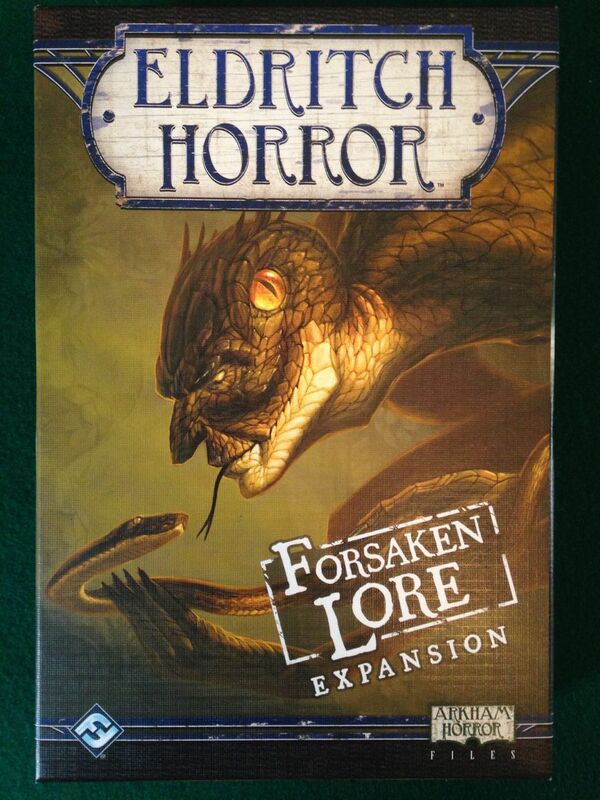 We just received our copy of the first expansion, Forsaken Lore. This is a small-box expansion, and it contains mainly loads more cards for the various decks, along with a new Great Old One, Yig. Posted in Blog Posts and tagged Eldritch Horror, Expansion, Forsaken Lore, Unboxing on May 31, 2014 by Tim.